In terms of stating the obvious, one of the conclusions to be drawn from the latest survey into British digital media ranks right up there with that one about the Pope being a Catholic. Apparently, according to Entertainment Media Research, TV, film and music piracy is not about saving a few quid, but is actually largely a result of Big Media not giving us what we want, when we want it. 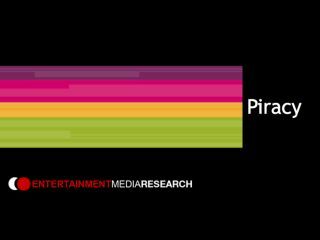 The research firm’s 2008 Digital Entertainment Survey [PDF link] covers a vast amount of ground on all aspects of digital media consumption, but it’s the questions about piracy that interest us. Asked why they download copyright material, 70 per cent of respondents said that legal sites simply don’t offer what they want. A similar number indicated that the illegal options are simpler and unhindered by copyright protection DRM – no surprise there either. It doesn’t take a rocket scientist to work out that UK fans of, for example, Dexter, with a little P2P know-how will happily download a new episode rather than wait a year for it to cross the Atlantic. Making it legal and fee-paying is an obvious step. Perhaps, instead of griping about piracy, vilifying fans and even prosecuting them, those in charge of media organisations might like to work out a way to distribute their products quickly and conveniently. Rising profits and happy, honest customers can go hand in hand.